Right of way accidents can be hotly disputed. These types of matters often involve two parties claiming to have been correct in their driving choices. In such matters it is important that you retain an attorney who understands the process and is able to use all available options to prove your case. Tom Kapstrom graduated from law school in 2003 and gained extensive experience in such matters during his many years of working for an insurance defense firm. Tom now puts this experience to work for his clients. 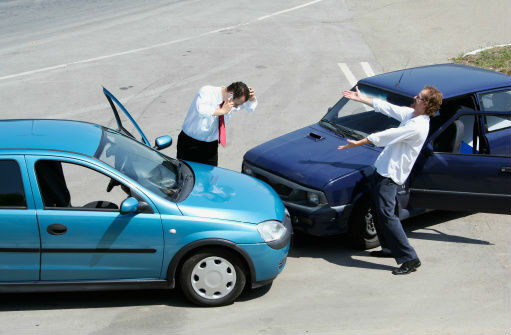 If you need a Right-Of-Way Accident Lawyer, call our office today for a free case assessment. What happened in such incidents can be unclear as each driver will often claim to have been in the right. Fortunately, Missouri is a comparative fault state. This means that a driver injured in an accident may be able to recover even if they were partially at fault. Our state provides a number of ways to prove who was to blame. This includes the taking of witness statements, discovery, and the use of experts. Even though Missouri provides you with a five-year statute of limitations to file a lawsuit, it is important to contact an attorney immediately as important evidence must be gathered on your behalf. Springfield Right-Of-Way Accident Lawyer Tom Kapstrom works quickly to identify all potential witnesses in a right of way accident. This assists him in determining who was at fault. If there are no witnesses then he may possibly employ an expert, known as an accident reconstructionist, to establish what happened. The discovery process (the information by which information is obtained from the other side) can be used to depose the other driver and expose inconsistencies in his or her story. In other words, Tom uses all tools at his disposal to protect the rights of those injured in car wrecks. Tom is available to give you a free assessment of your case. Under some circumstances, he will travel to you if you are too injured to meet at his office. Contact us today. Tom is a former employee of the insurance defense industry. He devotes his practice to protecting people rather than insurance company profits. He handles all cases in his office and does not turn them over to paralegals. He keeps his clients up to date as to what is going on in their cases, often provides clients with his cell phone number, and will meet with clients in their homes when necessary. He understands that an accident can have a huge impact in your life which is why, unlike many other injury lawyers, he will help you gain compensation for property damage after a car accident. Contact Tom today. He is happy to provide you with a free case assessment. Our office assists people throughout Southwest Missouri. In addition to helping those injured in right of way collisions, we help those injured in standard car accidents, rear-end collisions, stop sign accidents, and trucking accidents. We also stand up for the victims of drunk driving accidents. Call our office today.